Congratulations to Year 10 pupil, Maddie Ainsworth who recently competed in the Pony Club National Show Jumping Championships at Moreton Morrell in Warwickshire. Maddie jumped against the nation’s top riders and was 5th overall, which was a fantastic achievement. 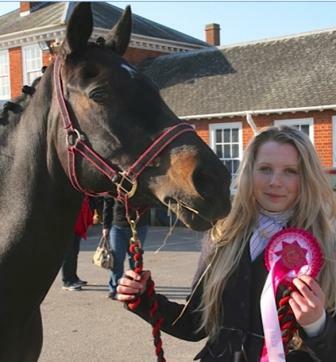 Maddie also enjoyed success in the Large Open Show Jumping Competition over the Easter holidays. The event covers Area 4, which consists of sixteen clubs across the North West from Furness and Fylde down to Glossop. Maddie competed in a three-round battle, culminating in a nail-biting jump-off. Congratulations to Maddie on winning the event.